Finding a good boxing gym takes a bit of effort, because not every gym can fit your needs. A gym designed for someone looking for a bit of extra cardio every week is going to be a lot different than a gym for an aspiring boxer. Likewise, someone looking to work on their MMA standup will need a different space than someone who is purely a boxer. 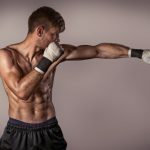 Boxing Gyms For Fitness: A boxing gym for pure fitness is going to be a lot more loose on its equipment needs and will usually be fairly open for new members. These types of gyms will focus on group training. The focus will be on burning calories more than perfecting technique. Sparring will be at a minimum, while bag work, shadow boxing, jump roping, and endurance training will be the big target. Professional Boxing Gyms: These gyms come in a variety of sizes, but will usually only take on new fighters on a case by case basis. These gyms focus more on getting a person ready for a fight, although there will be plenty of endurance and fitness training. One on One sessions with a coach will be more frequent, and sparring will be a regular occurrence as well. There is more of a hierarchy in the gym, where the fighters of more prestige will demand the most attention from the coaching staff. MMA Fighting Gyms: MMA fighting has become a completely separate discipline from traditional boxing. While the idea of punching, counter punching, footwork, etc. are still all the same, there are some differences due to the ability of opponents to go for takedown, and the ability to mix in kicks. Even within MMA, there are different stand up techniques, depending on who the leader of the gym is. Equipment: While not every gym should have the newest and highest tech equipment, a good sign of a good gym is how well the equipment is maintained. Do the rings look well put together? Is there enough safety gear for all of the fighters? 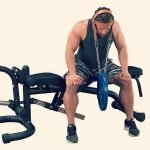 What kind of equipment can be found for endurance or weight training? Trainers: Are the trainers certified? A good gym will have experienced trainers with some sort of certification in their discipline. Trainers can be tough nosed or cool and collected, but how professional are they when come to handling business? Good gyms have trainers that know how to not only get fighters ready, but also how to conduct business on a pro level. Who Trains Here: A good gym will have a variety of people at different stages of training. If you notice that the trainers spend more time with one fighter while ignoring the rest, that is probably not a good gym for you. You are spending just as much money as the next person, so you should expect a good training experience. Reputation: Try to find out what kind of reputation a gym has. If you are looking to go pro, for example, find out how many people have gone to the next level in the gym. If you are looking for a strong fitness gym, find out how many people have come out of the gym in better shape. Look for testimonials on line. A good gym is never ashamed of its fighters and are more than happy to tell you about them. Price: Not all gyms cost the same amount of money. However, do not let the size of the gym be the only factor in how much you are willing to pay. Sometimes you can get a high price in a small gym, but you will be given a lot more attention than in a cheaper, bigger gym. Be willing to spend as much or as little as you can depending on what you are looking to get out of your gym. Don’t be afraid to visit multiple gyms before you settle on one. Give each one a call, and set up a day where you can watching training or practice. Most good gyms will allow you to do this for free, and if they don’t, then they didn’t really want your business to begin with. Watch the sessions and see what kind of coaching or training is done and find what works for you. And whatever you do, don’t sign anything until you have thoroughly thought it over.